Hey everyone, check out the pics below of all the 5 pack art buttons (1.5 inch) that we have For Sale! All 5 packs are $10.00 each. We also have singles available for $2.00 each + S/H. These art buttons are only available thru us. To buy some of these 5 packs or singles, please send us a email (dfstudios@cox.net) letting us know what you’d like to buy and we’ll get back to you right away with a Price + S/H. We accept paypal w/confirmed shipping address. Click on pics to view larger image. Also, check out all of the original hand drawn art pieces by Denae that we have For Sale. All of the art pieces below were done on current backing boards (6.75”x10.5”) and are NOT part of any Official set. Click here: https://www.facebook.com/media/set/… for Monster High and other Original Art that we are selling too. 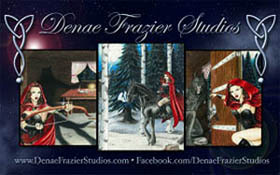 And most of all Thank you for all your support on Denae’s art! This entry was posted in art, custom illustration, news, star wars and tagged 1.5 Inch Buttons, 1/1 Original Art, 6.75x10.5 Original Art, Ariel, Art Buttons, Art by Denae, Belle, Colored Pencils, Darth Maul, Darth Talon, Darth Vader, disney, General Grievous, Harley, Harley Quinn, Harley Quinn Arkham Nurse, Ink, Jasmine, Jokered Harley, Mark Hamill, Monster High, Mulan, Nap Time, Pocahontas, Royal Guard, Sandtrooper, Star Wars, stitch, Stormtrooper, The Darkside Enjoys It Too, The Joker, TIE-Fighter Pilot, Tink, Tinkerbell, Toothless, Traditional, Traditional Art. Bookmark the permalink. Trackbacks are closed, but you can post a comment.